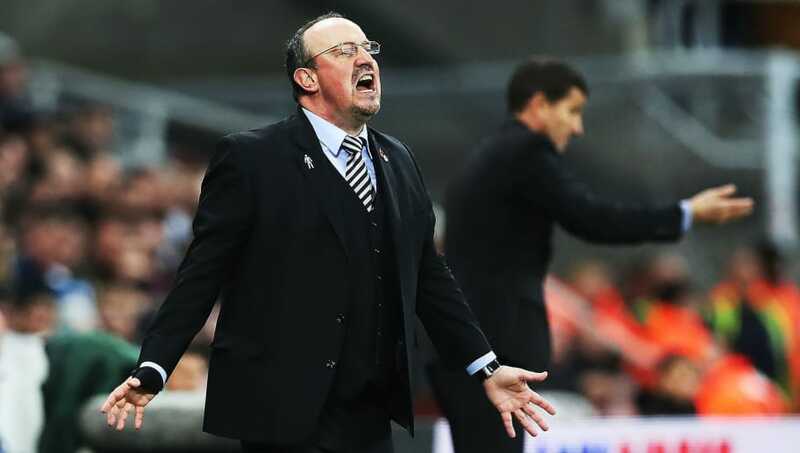 ​Newcastle United manager Rafael Benitez most closely fits the statistical profile of a Premier League manager likely to be sacked, while Southampton boss Mark Hughes, Fulham boss Slavisa Jokanovic and Cardiff boss Neil Warnock are currently doing even worse. Taking into account the last 29 Premier League managers to get the boot going back to the start of the 2016/17 season, BonusCodeBets.co.uk have calculated the average record of each one in their final five games in charge to answer: What gets a Premier League manager the sack? On average a Premier League manager sacked since August 2016 has taken four points from his final five games. That is 0.96 wins, 1.2 games drawn, 4.5 goals scored and 8.7 goals conceded. Benitez has seen his Newcastle side take four points from their last five games, including a long overdue first win of the season in their last outing against Watford. David Wagner has a similar record, with Huddersfield also winning their most recent game. Warnock's Cardiff have three points from their last five Premier League games - one win and four defeats. Hughes' Southampton haven't won any of the last five, taking only two points, while Jokanovic's Fulham have lost five games on the spin to leave them 20th in the table. Manchester United boss Jose Mourinho, who was allegedly on the verge of the sack when his team played Newcastle last month, does not fit the profile of a sacked manager at all. His United side have taken 10 points from their last five games, winning three and drawing once. According to the numbers, Leicester's title winning manager Claudio Ranieri was the most justified sacking the Premier League has seen since 2016/17. It was perceived as harsh for the Italian to lose his job at the time, but the Foxes lost all of his last five games without scoring, making it the worst record of any dismissed manager during the period in question. Arsene Wenger, who it has been established was sacked by Arsenal following his departure from the club at the end of last season, is at the other end of the spectrum. The veteran Frenchman won three times and took nine points from his final five games in charge.